The latest James Bond film is getting some serious tax breaks for portraying Mexico City as a nice, modern place, according to a report from Taxanalysts.com. According to the report, Spectre will receive at least $14 million for highlighting Mexico City’s skyline and other “modern” features, casting a role with a “known Mexican actress,” and writing the bad guy as any nationality besides Mexican. An additional $6 million is possible for additional positive Mexico City footage. That footage only amounts to about four minutes of screen time, meaning the Mexican federal government—which is shelling out the money—must be desperate for some good coverage, just as desperate as Sony and MGM are to supplement the film’s budget. The Mexico-positive components were added to the script a month after shooting was scheduled to begin, when producers received an email from studio executives directing them to rewrite parts of the script in order to benefit from Mexico’s film incentives. According to an email from Jonathan Glickman, president of MGM’s motion picture group, the film is way over budget and changes are not about “nickel and diming” production. 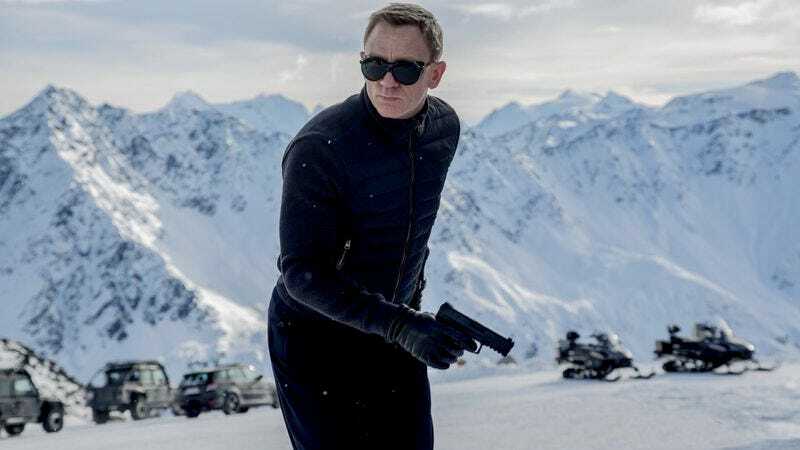 “As of now, our shooting period is $50 million higher than Skyfall and the current gross budget sits in the mid-$300 millions, making this one of the most expensive films ever made,” Glickman wrote. Movies get tax breaks and incentives from federal governments all the time, but this report—with findings from the Sony hacks—gives an unusually comprehensive look at how foreign considerations play into budgets, even in films as hugely successful and profitable as the James Bond franchise. You can see just how nice a place Mexico City is in Spectre on November 6.